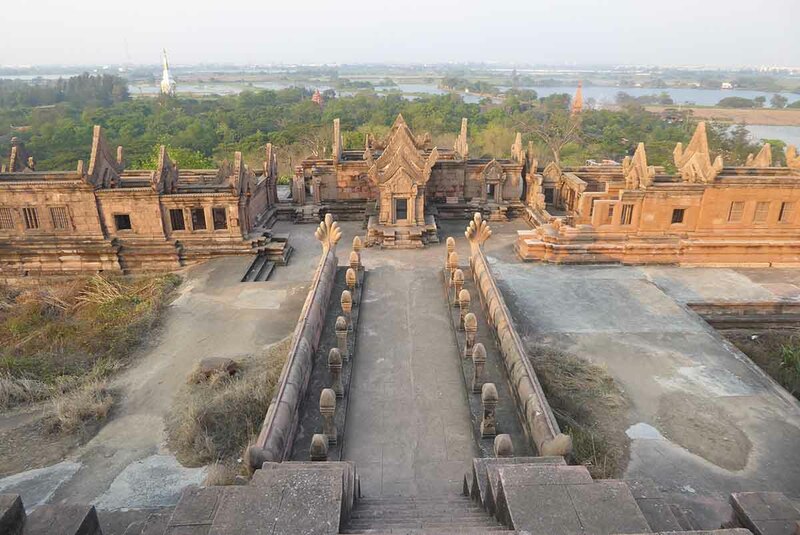 Ancient Siam (known locally as Muang Boran or Ancient City is the largest outdoor museum in the world spread over an area exceeding 200 acres. 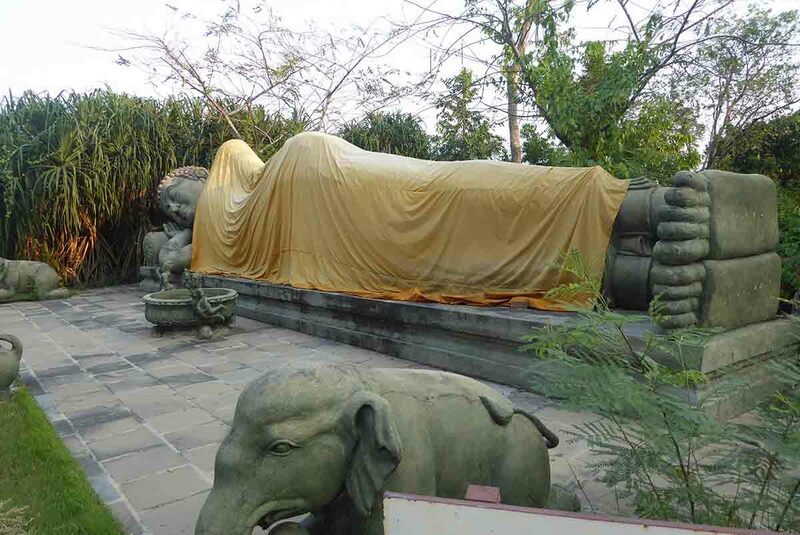 It’s on the outskirts of Bangkok in the province of Samut Prakarn, though it’s easily accessible from the city. 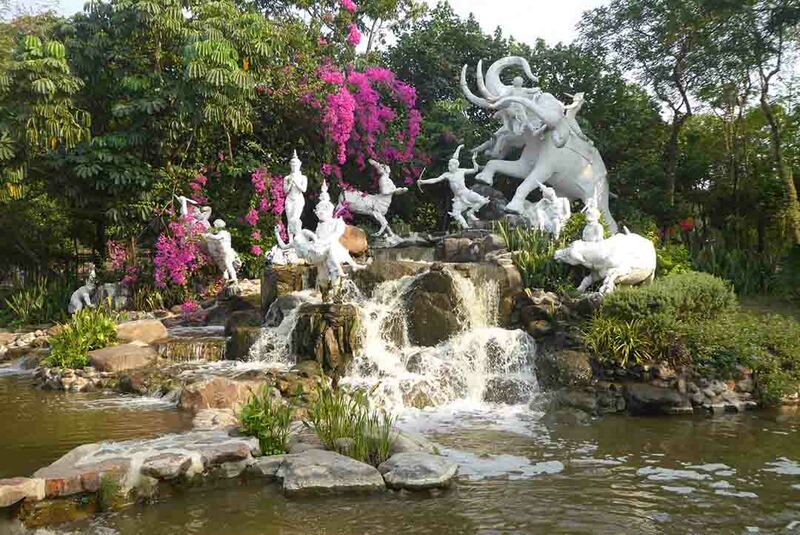 Ancient Siam features scaled-down replicas of Thailand’s most historic sites including temples, chedis, palaces, shrines, Buddha images, a floating market, an old market town, and several sculpture gardens. 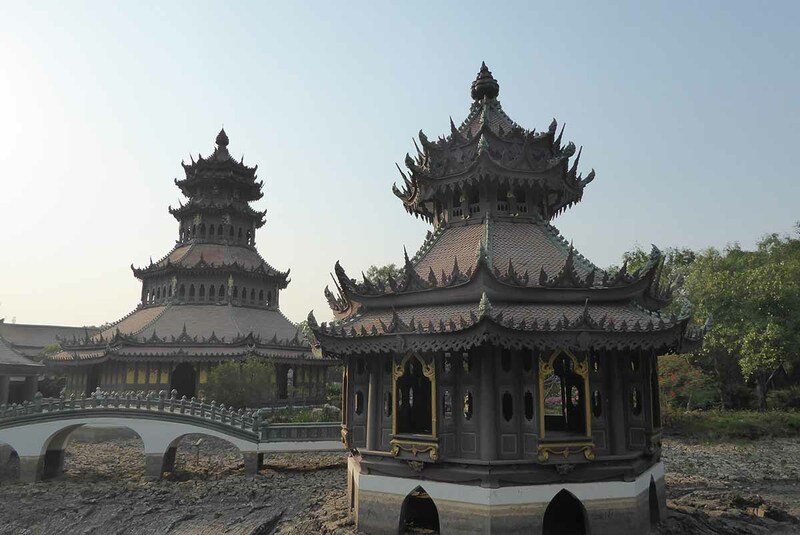 There are also some original structures moved to the site to keep them in good condition. 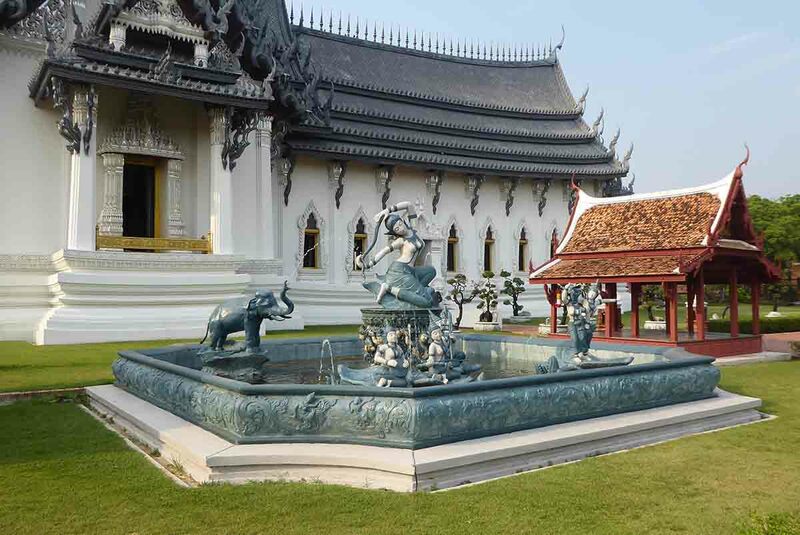 The layout of the grounds replicate the exact shape of Thailand with the sights arranged to match their real geographic locations. 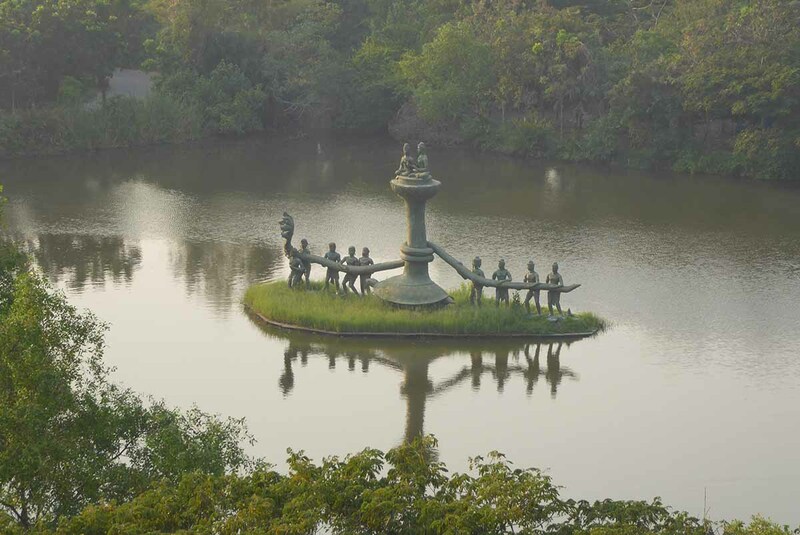 The beautifully landscaped gardens are full of trees, flowers gardens, fountains, streams, ponds, and lakes. In all, there are now 120 structures with more under construction. 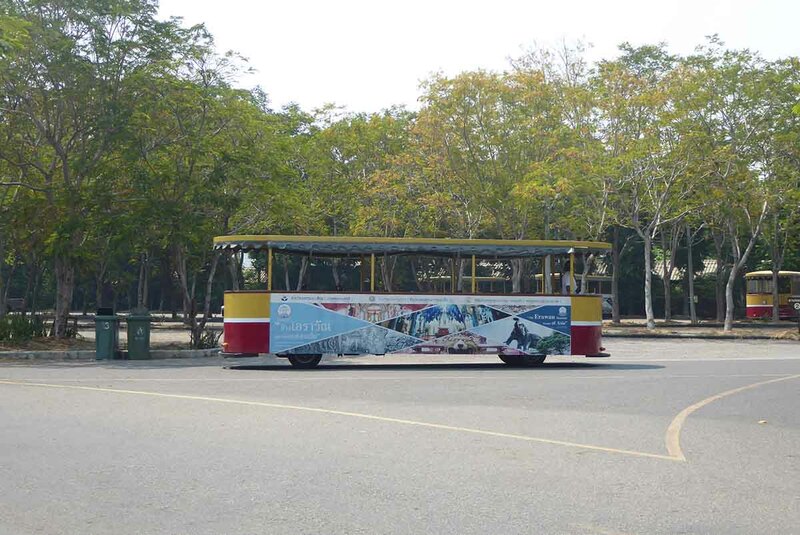 Visitors can explore the site on guided tours, in their own car, by tram, golf cart, bicycle or on foot. 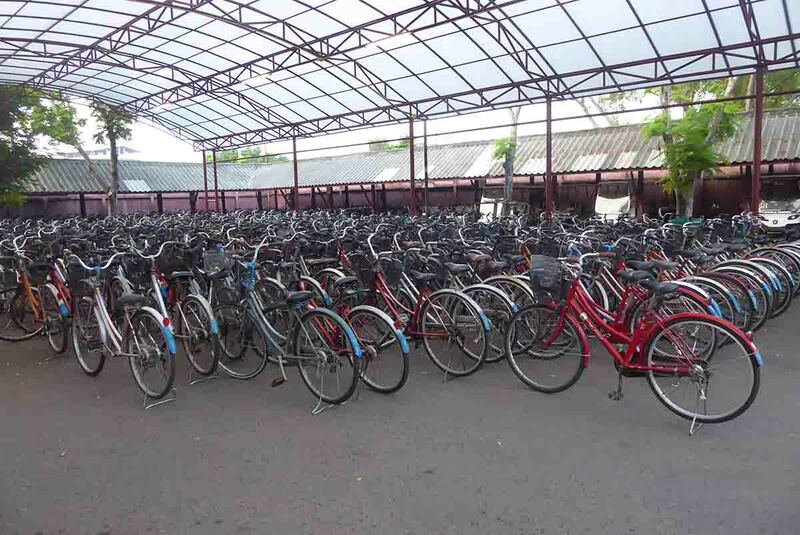 The bicycles are free and are the best way to get around. The whole site is flat so cycling is not hard. The tram is hop-on and hop-off but stops for a short while at most of the sights. There are several bike stations around the site where you can leave and pick up bikes. You can hire a golf cart to self-drive or with a driver/guide. There is a fee for bringing your own car into the site. Walking is not recommended due to distance and climate. A free map is in the admission price and audio guides are available in several languages though they are not free. There are toilets, snack shops, and souvenir shops all around the site. 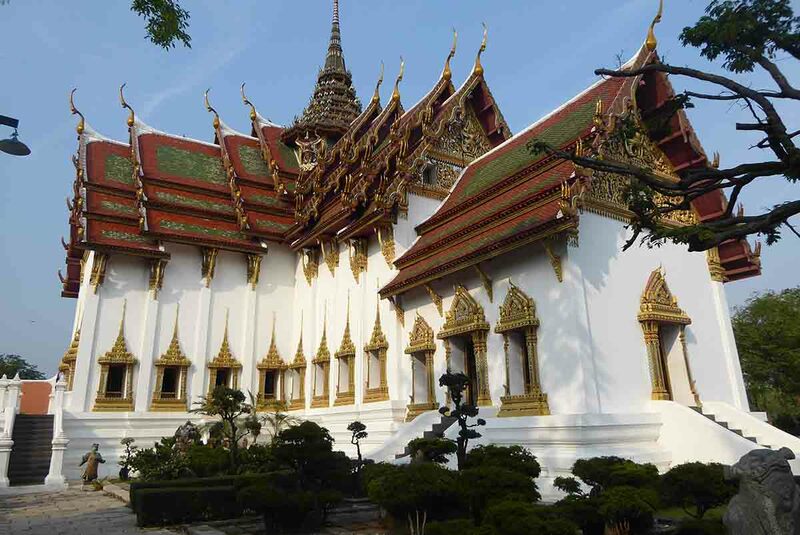 Each structure has a sign giving a detailed description in English of its name, location in Thailand and history. 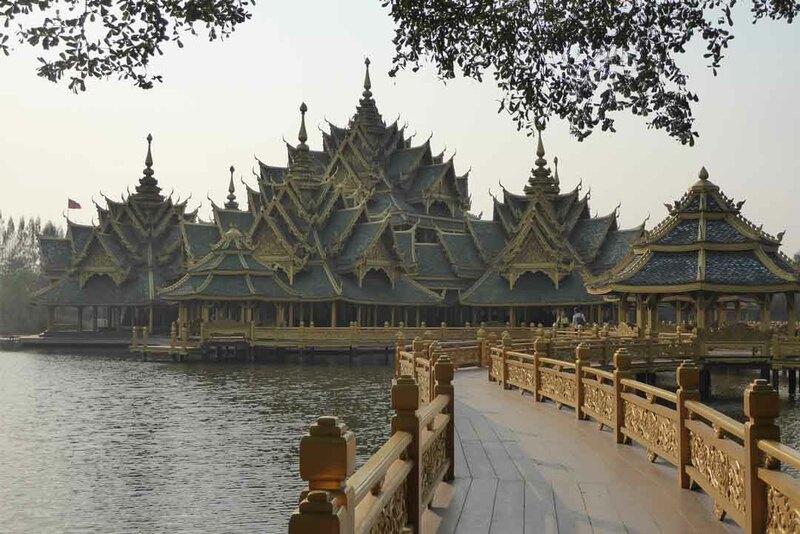 Not only will you see traditional Thai styles of architecture but also Khmer and ethnic Chinese as both had significant cultural influences in the history of Thailand. The replicas themselves are superb recreations with a high standard of workmanship. 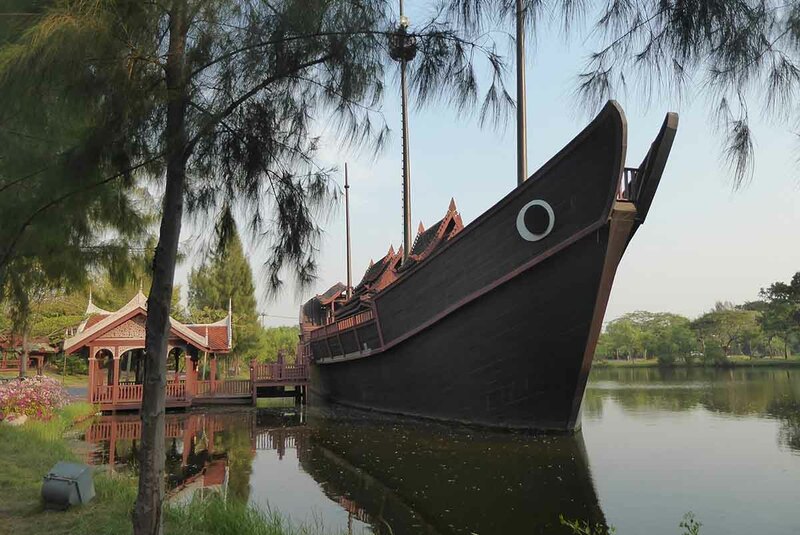 As well as the replicas of existing or past historical sites, you will find many Thai cultural exhibits such as ancient villages with displays of traditional farming and cooking equipment housed in replica buildings of the period. You can also see an old merchants house, a folk museum, and a spirit house exhibition. 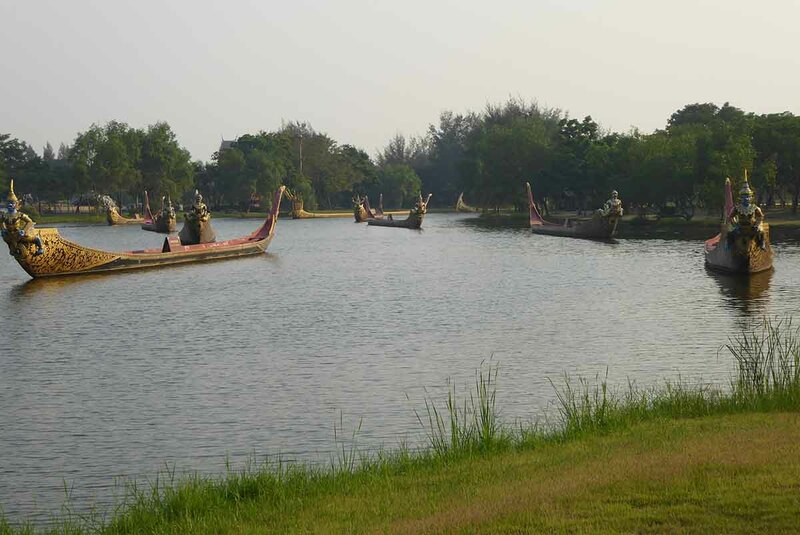 There is also a floating market where you can enjoy some traditional Thai food from a boat vendor or one of the small restaurants on the waterfront. 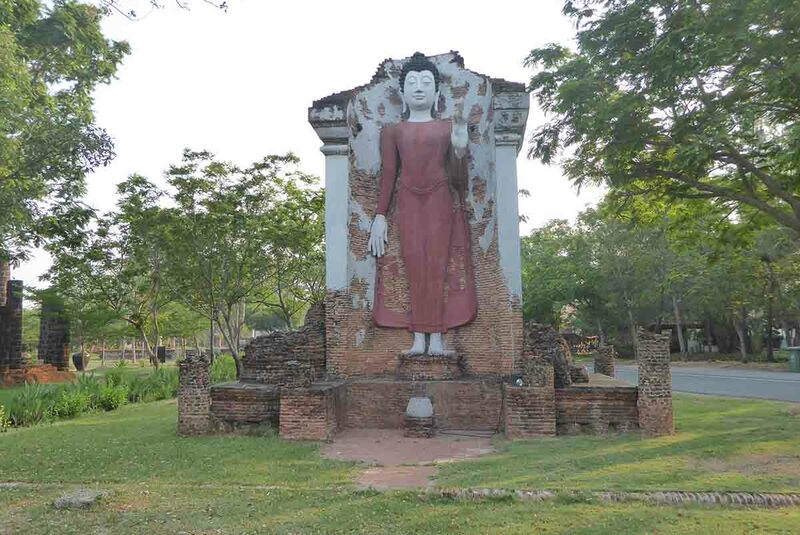 Ancient Siam is a great place to learn about Thai history and culture and makes a great day out in a relaxing environment and it’s never too crowded. 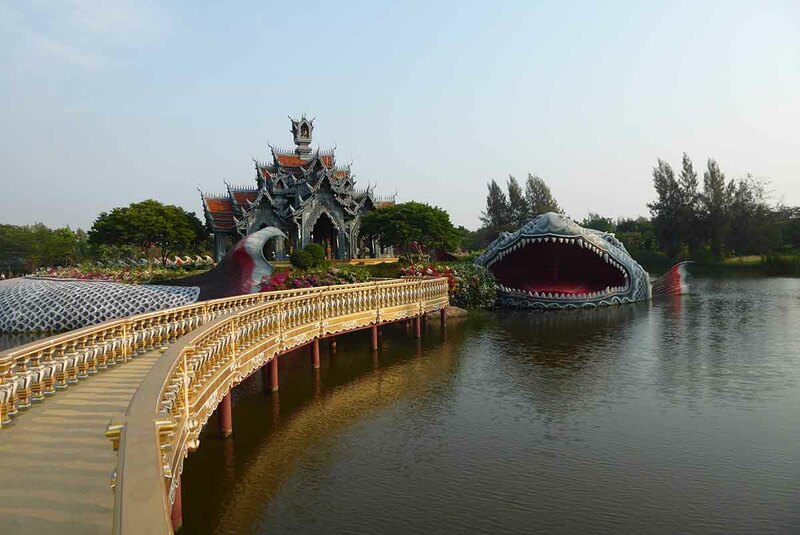 The best time to visit is mid-morning until mid-afternoon so you have plenty of time to see everything at a leisurely pace and enjoy lunch at the floating market. 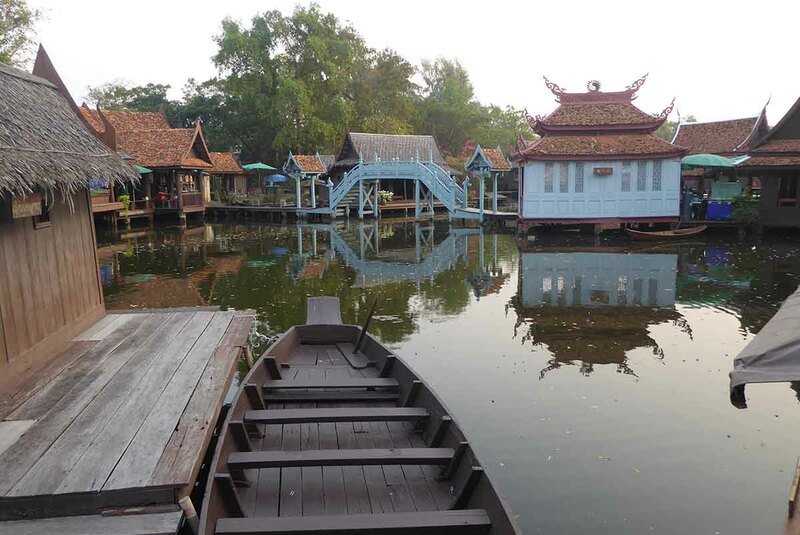 The floating market restaurants start to wind down after 15.00 and are usually shut by 16.00 on weekdays. The old town market shops usually close by 18.00. Alternatively, if you come later in the day the park is less crowded and you can catch the sunset from the top of Preah Vihear. 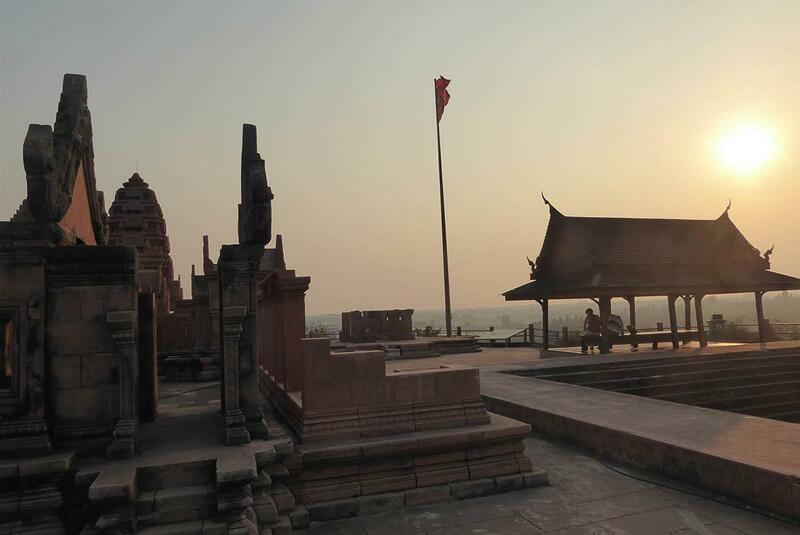 If you come later, you can end the day in a romantic setting watching the sun go down from the viewpoint at the top of the Preah Vihear temple ruins while enjoying stunning views of the park, its monuments, and the surrounding area. Location: Sukhumvit Road at Km 33, Samut Prakarn. Opening Hours: 09.00 – 20.00 daily. Last admission at 19.00. Admission: Adult 700 baht, Children 350 baht. 50% discount from 16.00 – 19.00. No admission after 19.00. Free map and bicycle. Extra fee for audio guide, tram ticket and golf cart. BTS & Taxi: Take the BTS to Kheha station. 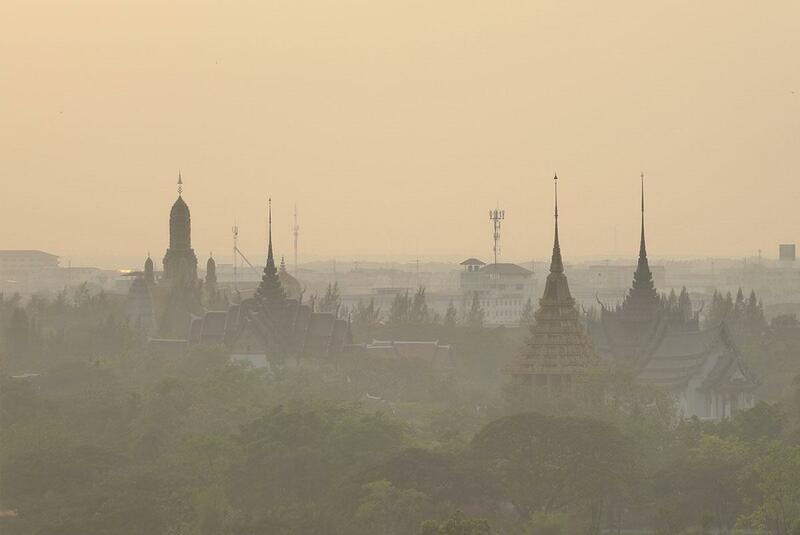 Take a taxi to Ancient Siam (about 7 mins). Approximate taxi fare will be 40-50 baht. Free Shuttle Bus: Departs from BTS Bearing station at 11.00am daily and stops at the Erawan Museum on the way. The bus can be found in the parking lot area at Centerpoint Entertainment. Exit 1 from the BTS station on Sukhumvit 105. The Shuttle departs Ancient Siam for Bearing at 15.00. Bus: Take air-conditioned Orange bus No.511 which passes Khao San Road, Ratchaprasong and Sukhumvit Road and terminates at the Crocodile Farm. 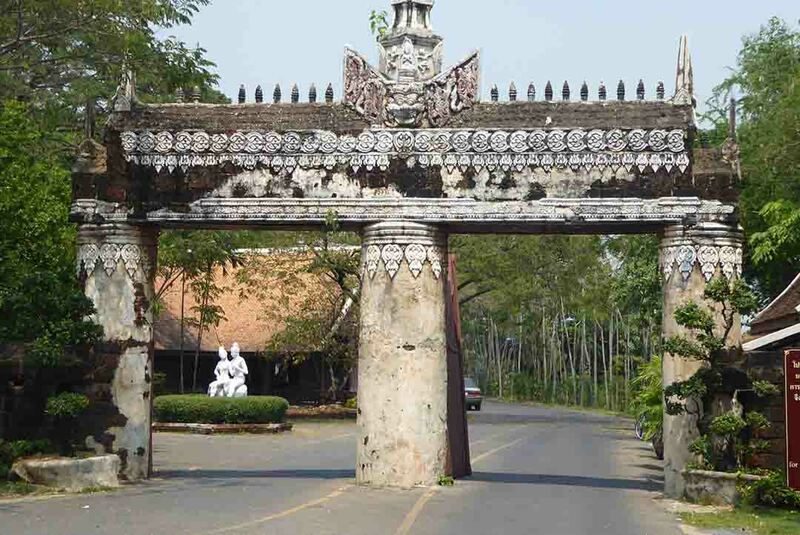 Get off at Paknam and take the No.36 mini-van up Sukhumvit Road to Km 33 where you will pass the entrance to Ancient Siam on the left-hand side.